Coffee drinkers have an important decision to make when choosing their coffeemakers and making their coffee — whether to use paper or permanent coffee filters. While some prefer to use paper filters in their coffeemaker and feel they're better when it comes to coffee taste, permanent coffee filters are becoming very popular with consumers. Coffeemakers often come with a permanent filter, but if your coffee machine does not have this accessory, you'll have to make a choice between paper or a permanent filter. Paper filters are economical since a package will last for a pretty long time. You will need one filter per brew, so buying bulk size filter packages can be an economical choice. Using paper coffee filters makes discarding coffee grounds quick and easy as you simply lift the used filter and coffee grounds out of the basket and throw it away. The main drawback to using paper filters is finding a supplier for the right size and style (cone or basket) that your coffeemaker requires and the regular cost of purchasing them. It's also advisable to keep a convenient supply on hand so that you don't run out. The main benefit of using a permanent filter in your coffee maker is to reap the long-term savings. Though a package of paper filters at $3 or less may seem to be the most economical, a permanent filter at around $10 or so will quickly pay for itself within the first few weeks, depending on how much coffee you make. With a permanent filter, you'll never have to worry about replacing filters. Permanent coffeemaker filters are available in both styles — basket and cone shape — and while some prefer gold-tone filters for durability and improved coffee taste, others like the lower-priced nylon filters. Both types are durable and clean-up well. 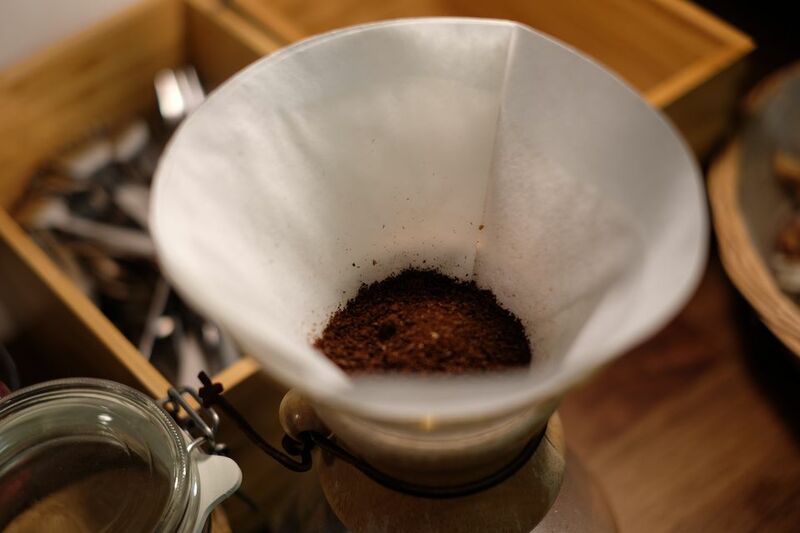 Permanent coffee filters are usually sized to fit most coffee makers, but to ensure the best fit, purchase one designed for your particular coffee machine. To get a good sense of how paper filters and permanent filters affect coffee's taste, the simplest way is to try both with your coffeemaker and see which you prefer. Metal filters tend to have slightly larger holes, so the coffee granules can more easily slip through this type of filter. Coffee made with metal filters tends to be darker in color, taste bolder and may have some coffee sediment at the bottom of the cup or carafe. Paper filters are usually much finer, so they trap more of the coffee granules. Coffee made with paper filters tends to be lighter and brighter in both color and taste. It's generally more translucent in color compared to coffee made with metal filters. Choosing which type of filter works best for you depends on a number of factors and preference. Remember a clean coffeemaker will brew a tastier cup of coffee, so with either filter choice, regularly clean your machine.